Boil 3/4 cup water. Add 1 tsp of oil and pinch of salt in a boiling water. 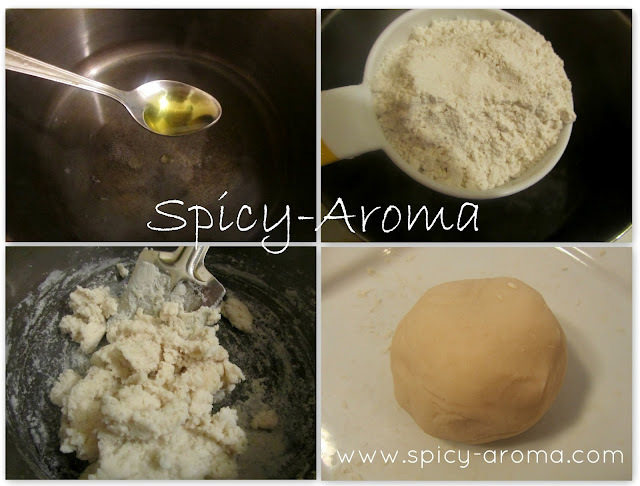 Reduce the heat and pour rice flour. Keep stirring continuously till it forms dough. Switch off the heat and cover the pan. Let it rest for 5-6 minutes. Pour few drops of oil and knead the dough really well with wet hands. Divide the dough into 10-11 equal parts. Take one ball and start to pat it in such a way that it will get bowl like shape. Make sure you make the edges thin. Use few drops of water to make the task easier. Then make pleats and place a spoonful of stuffing in it. Gather all the pleats at center as shown in picture. 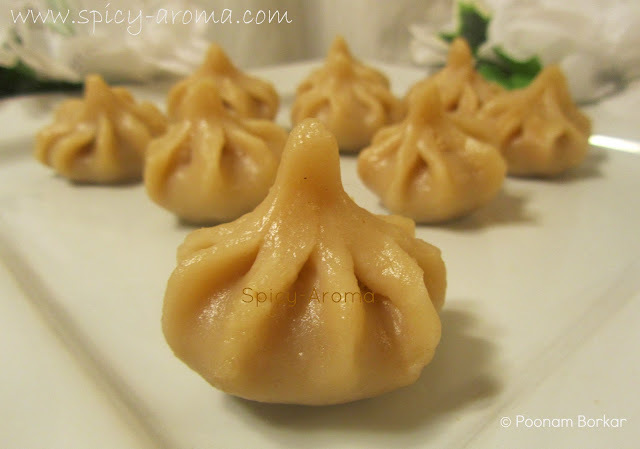 Follow the same procedure and make rest of the modak. Keep them covered with wet kitchen towel. Boil water in vessel. Vessel should be 1/4 filled. Grease the sifter lightly with few drops of oil. 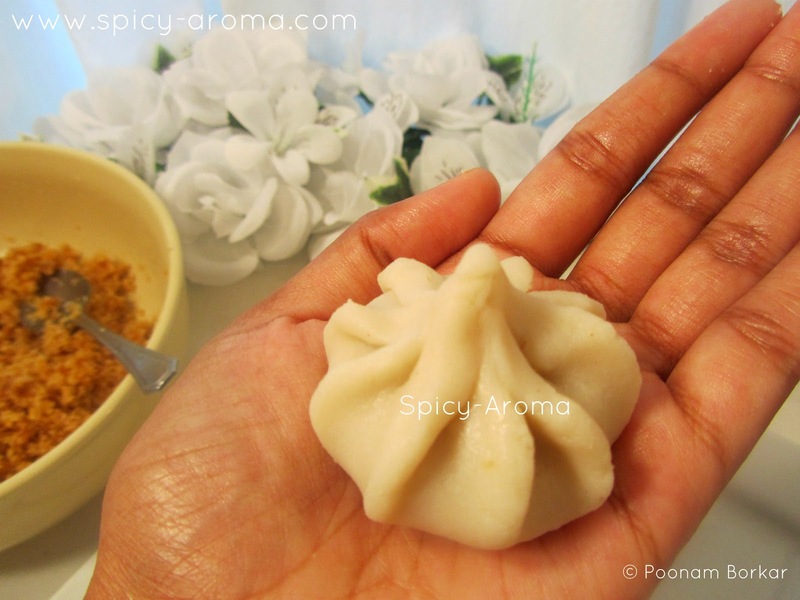 Arrange all the modak on it. Place sifter on a vessel and cover it. Steam them for 6-8 minutes. Switch off the heat and serve modak hot with ghee. I like the shape of the modak! cute! 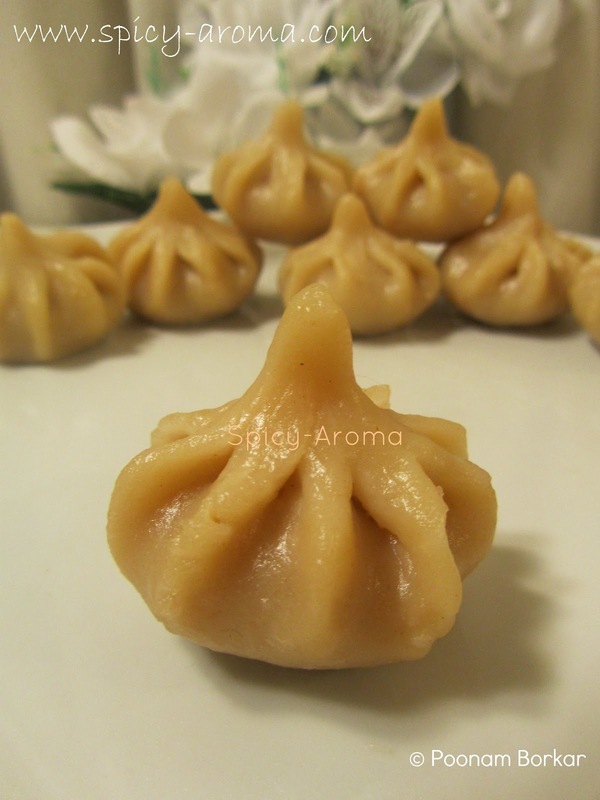 Modak looks so cute with delicious filling..very well and perfectly done!! 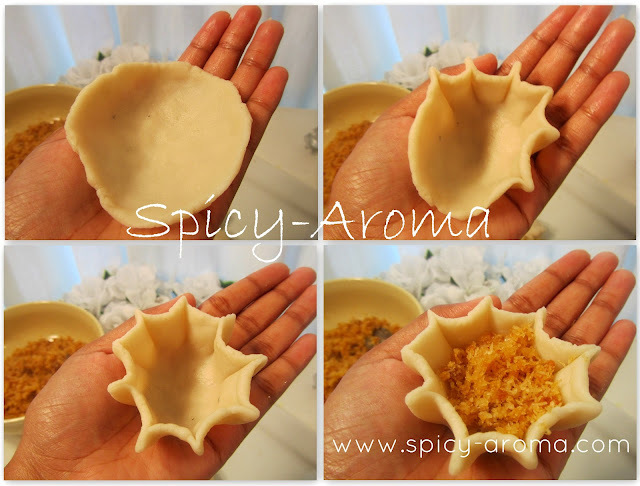 Looks pretty and cute..Lovely recipe too ! wow...they look so pretty dear...loved it !!!! Perfect modaks! I always think of making them for Ganesh Chaturthi but decide against it! 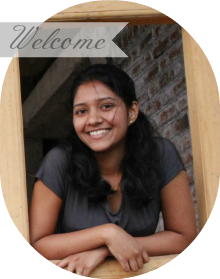 Modaks are so cute and is inviting.